London – Christie’s announce that a Private Sale has taken place of the fashion and photographs from the Estate of the late Isabella Blow. The Collection will now remain intact and the planned public auction in September will no longer take place. The buyer wishes to remain private but is committed to keeping the Collection together. Private Sales are one of the many services Christie’s provides as the world’s leading art business. They offer a quicker and more discreet platform for collectors to both buy and sell. Christie’s unparalleled global network together with the unique combination of passion and expertise help to create opportunities for clients to shape their collections, when and where they choose. 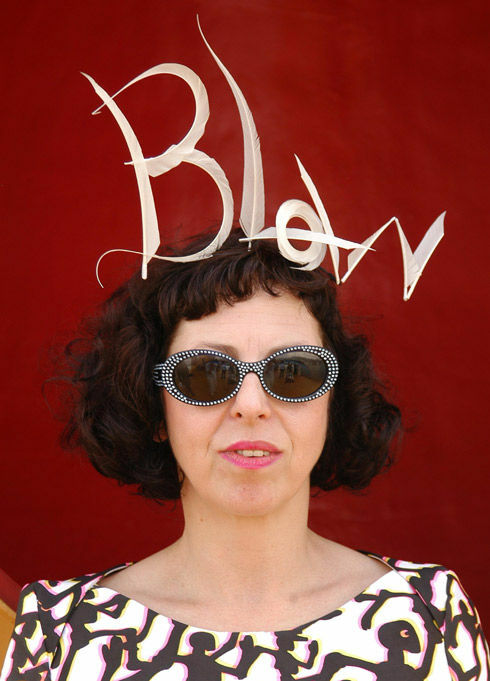 The Isabella Blow Collection reflects her great passions. McQueen, Treacy, Manolo and photography all feature prominently. The Collection comprises over fifty hats by the world’s top milliner, Philip Treacy, as well as an enviable range of couture by leading British designers. The largest portion of The Collection, consisting of well over ninety outfits, pays homage to one of Isabella’s greatest discoveries, the late Alexander McQueen. Also included are examples of John Galliano’s early work, a number of Manolo Blahnik shoes, items by Hussein Chalayan, Giles Deacon and many others. A selection of framed photographs of Isabella also features, including iconic images by the crème de la crème of fashion photographers such as Mario Testino, Steven Meisel, David Lachapelle, Michael Roberts, Richard Burbridge, Karl Lagerfeld and others. The Collection beautifully expressed the passion, vision and taste of the inimitable Issie. Isabella Blow fearlessly pursued perfection. Her genius lay in recognising talent in its raw state. She supported those she admired unconditionally, and left behind a permanent legacy in the designers she nurtured and in the clothes that she left behind. 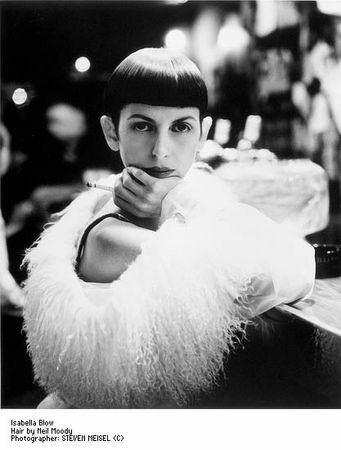 Many of the most cutting edge designers of her generation owe their big break to her, encouraged and shaped by Isabella’s totally original and generous personality– perhaps most famously, Philip Treacy and Alexander McQueen, but also Hussein Chalayan and Sophie Dahl, among countless others. Isabella collaborated with world-class photographers, designers, models, and artists on pioneering designs, photo-shoots and magazine spreads. She was there through every stage of the process, and confidently earned her place on the front row of the catwalk shows – a position she maintained for over two decades, culminating in Alexander McQueen’s Spring/Summer 2008 catwalk show dedicated entirely to her memory. Isabella Blow cited various reasons for her genuine love of hats – as a mood enhancer, disguise, and even obstacle for fashion industry air-kissers. Her outfit was not complete without a hat, and when dressing she often began with one. Issie remembered, “My first memory of a hat is when I was eight years old and I tried on a giant pink hat of my mother’s…I look[ed] as happy as anything to be wearing it”. Her first knowledge of Philip Treacy was through one of his creations made for a photo shoot at Tatler in 1989, where she was Style Editor. Isabella stated, “I’d never had a good hat before I met Philip”, whilst Philip once referred to his legendary muse as his “dream project – because she’s as passionate about hats as I am”. In 1989, she set up a workshop for him in the basement of her house on Elizabeth Street, London. Treacy’s name became recognisable almost immediately, and over the years Issie continued to bring his creations to life. Philip later remembered, “I was so inspired by the way she wore my hats. She wore them like she was not wearing them – like they happened to be there”. 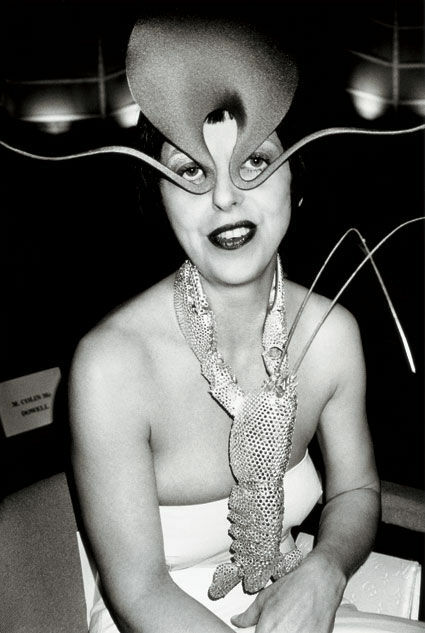 Isabella Blow has been quoted as saying of Alexander McQueen, “I understand the aesthetic so well that I only want what I know I’ve seen his hands on”. Lee McQueen (later named Alexander by Issie, to launch his fashion career) was the son of a taxi driver, born in Lewisham. 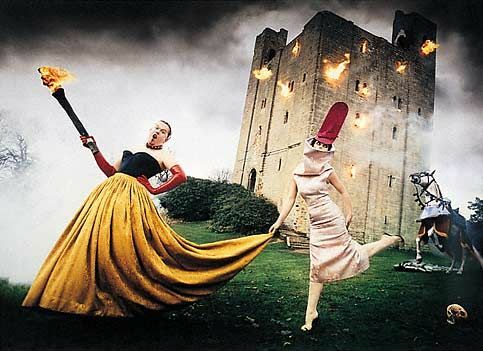 He achieved his Masters degree in fashion design in 1991, and his entire graduation collection was bought by the already highly influential fashion stylist Isabella Blow. Issie knew she had discovered a genius. A great creative bond formed between them, in part due to their shared outsider status and aesthetic tastes, with McQueen later saying of Issie, “She’s the same as me – she doesn’t care. She doesn’t care what people think.” McQueen’s early catwalk collections helped develop his reputation for controversy and shock tactics, earning him the title “l’enfant terrible”. Nurtured by Isabella, and working alongside Philip Treacy “creating magic everywhere” in the basement of her house on Elizabeth Street, London, McQueen’s style matured to encompass an eclectic mix of styles: a blend of 1940s and 50s sculptured and tailored cuts, combined with punk maverick elements, as well as deconstructed Japanese concepts. 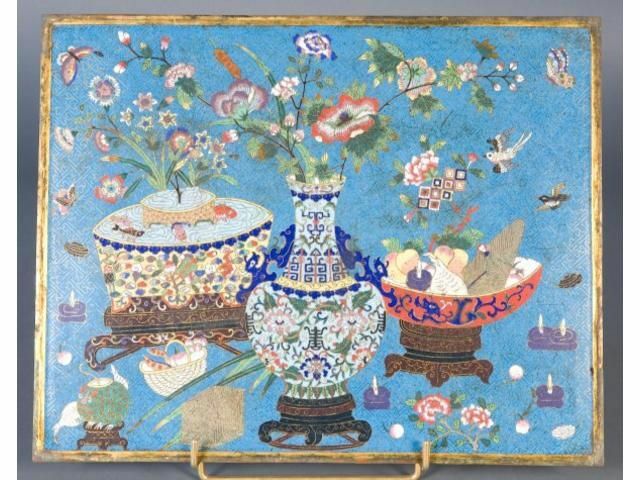 He was a great historicist, and his work shows clear signs of 18th century references, whilst certain pieces in The Collection are also reminiscent of Indian embroidery. Isabella inspired McQueen, acting as his ambassador – marketing, placing, selling, and wearing his clothes. Their relationship went even deeper, with McQueen commenting after Isabella’s death, “What I had with Isabella was completely disassociated from fashion, beyond fashion”. Among several Galliano early works is a luxurious black and white Japanese mantle. During a live Channel 4 interview he disrobed and gave it to Isabella as an apology illustrated right. Galliano’s famed Isabella Felix ‘Poodle’ coat, as worn on the front cover of London’s Timeout magazine in February 1998 also features illustrated far right. Isabella’s global status is demonstrated by the inclusion of pieces by the Brazilian designer Alexandre Herchcovitch – many consisting of his signature latex and rubber designs, and some also including Swarovski elements. Works by Hussein Chalayan, Comtes des Garçons, Deborah Milner, Louis Vuitton, Fendi, Prada and others also feature. The twenty-eight photographs included in The Collection present a record of Isabella Blow’s chameleon image; she could be a wistful eccentric girl for Steven Meisel when photographing English Eccentrics, or a mysterious figure for Karl Lagerfeld. 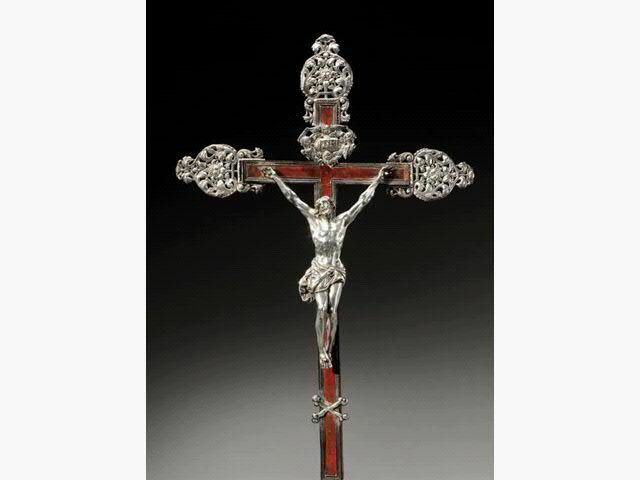 CHRIST EN CROIX EN ARGENT FONDU. DOUAI 1722-1723.